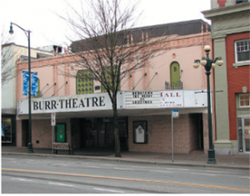 The Burr Theatre on Columbia Street tops our list of the 2007 “Top 10” most endangered buildings in New Westminster. 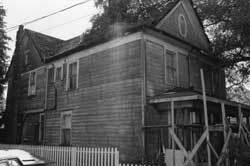 For several years now, Heritage Vancouver has annually released a list of Top 10 endangered heritage resources in Vancouver. 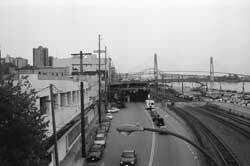 That list includes the Burrard Street bridge, and buildings which are art deco, industrial buildings, old military buildings, and others. Jim Hutson, a board member of the Heritage Preservation Society, thought it would be a good idea to have a similar list for New Westminster, and encouraged me to take the time to look into it. Why Endangered: Inertia. Demolition blocked. Development pressure. Why Endangered: Inertia. Demolition blocked. Why Endangered: Fire, in need of interior renovation or restoration. Development pressure. 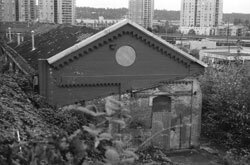 Why Endangered: Demolition proposed, development pressure. 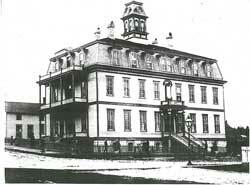 Saint Mary’s Hospital was designed by architect Allen C. Smith, who also designed New Westminster’s existing city hall just down Royal Avenue. Former owners of property assembled for the hospital site include such names as former provincial Premier Theodore Davie, and such other local historical figures as Henry Valentine Edmonds and Alfred Seymour Black. The original hospital was completed in 1887, with funds raised through begging tours of the Sisters, and a limited insurance scheme. 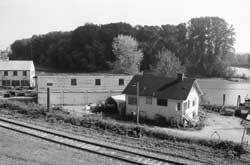 A new hospital was built just north of the old in 1959. 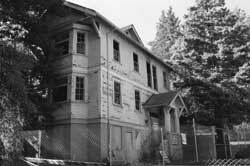 In 1964, a major addition to the hospital was financed by the citizens of New Westminster, Coquitlam, Port Coquitlam, and Fraser Mills, who approved bylaws to raise the money. A former Chair of the Saint Mary’s Health Foundation has argued that morally, the hospital belongs to the community. Former long-time administrator Sister Mary Michael also felt that, “St. Mary’s is a public hospital, not private.” Will the developer and the city ensure that the existing Institutional Moderne building and the site’s history are respected? Why Endangered: Lack of awareness. Neglect/poor funding. Buildings might be built of wood and mortar, or might survive a flood or fire – or they might not. Documents are even more vulnerable to disaster and, unlike buildings, can be easily lost. Earlier this year, I bumped into a student hired by the city to clean through old boxes of documents, and I happened to notice the obvious age of some bound volumes. To my amazement, there next to the pipes in the basement storage rooms were the some of the old assessment rolls of the city – lists of people who paid taxes on their property, considered gold mines of information by historians, and even more so by genealogists. Heritage Front Street is endangered – almost all of it. 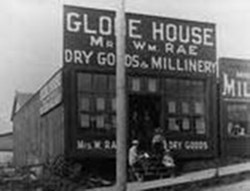 For many years the city has worked to restore the heritage aspects of the Downtown area and Columbia Street, most recently through the purchase of the 1911 CIBC building, and has also wanted to improve the Downtown waterfront. However, standing between Columbia Street and the waterfront, in place of an open street with views of the Downtown streetscape is the gargantuan parkade. Until the 1920s, there was only one side of Front Street, as the other side was the water. This changed with harbour development in the early 20th century. Why Endangered: Neglect. Lack of awareness. Lack of protection. This is the only site to be included in this list without a building. Heritage, of course, is not just about structures, but about history, and some sites are preserved because they are rich in history. Sadly, precious little has been done to recognize the contribution of a part of the city’s pioneer community, that of the Chinese. 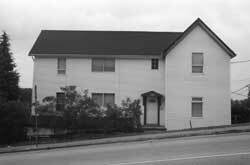 At 825 Agnes Street/825 Victoria Street sits an empty lot that was donated to the city in 1979. 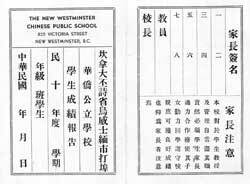 The donation consisted of what was known as the Chinese Old Man’s Home, the home of New Westminster’s Chinese Benevolent Association. 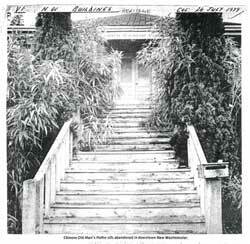 The abandoned building “crouched inside a grove of wild bamboo and sweet pea.” The site served for generations as the civic centre of Chinatown, home at various times to a Chinese school, a Chinese hospital, a home for the elderly, and as the home of the Chinese Benevolent Association. The city demolished the building within a few months – and the lot has sat empty, owned by the city, ever since. Why Endangered: Lack of awareness. Undesignated. Alterations to property. Why Endangered: Neglect. Facing demolition. SURVEY: Help us create the Homes Tour you won’t want to miss!